Baker-Polito Administration Delivers Emergency Response Trailers | Petroleum Management Services, Inc.
BOSTON – The Baker-Polito Administration today delivered new emergency spill response trailers to six inland communities to assist them in the event of spills of oil or other hazardous materials that may pose a risk to freshwater resources. 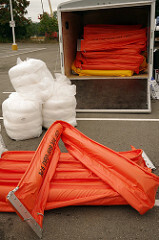 The trailers contain crucial spill response equipment, such as containment boom, absorbent pads and buoys. 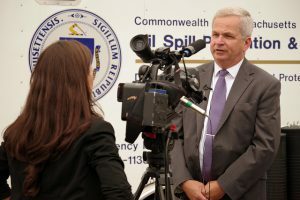 At a ceremony held today in Worcester, Massachusetts Department of Environmental Protection (MassDEP) Commissioner Martin Suuberg presented the trailers to officials from the communities of Brockton, Fitchburg, Lowell, Marlborough, Milford and Sturbridge. “Our partner communities need to have the capability to quickly respond in the event of an emergency,” said MassDEP Commissioner Suuberg. “Now, these six communities will join 70 of their coastal community colleagues in being ready to respond to a spill. Each of the fresh water response trailers delivered today is 16 feet long by eight feet wide and is divided into two storage compartments containing: 800 feet of containment boom and 200 feet of absorbent boom; oil sorbent pads; speedy dry; inflatable drain bladders; anchor line and chains; buoys; tools; and safety equipment that includes life preservers, lights, boots, gloves, caution tape and a first-aid kit. The funding to purchase and distribute the inland trailers and the equipment to protect fresh water resources is provided from the Commonwealth’s capital bond fund. The trailers cost $32,000 each to purchase, stock, outfit and deliver. MassDEP will also provide training classes to the fire departments and first-responders of the receiving communities in the coming months. It is important that all responders are prepared to safely and efficiently use the equipment in the spill response trailers should an oil spill or other hazardous materials incident occur in their community. 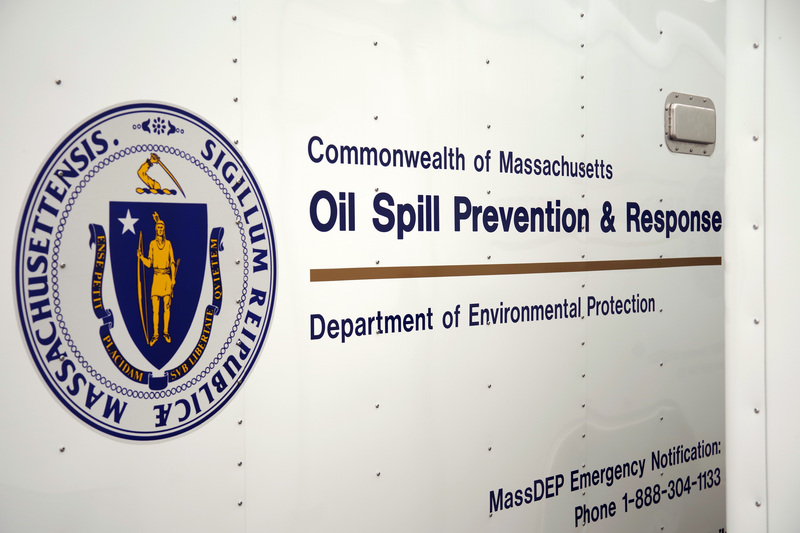 MassDEP will continue to develop Geographic Response Plans (GRPs), which identify locally sensitive areas to protect prior to being impacted by an oil spill. 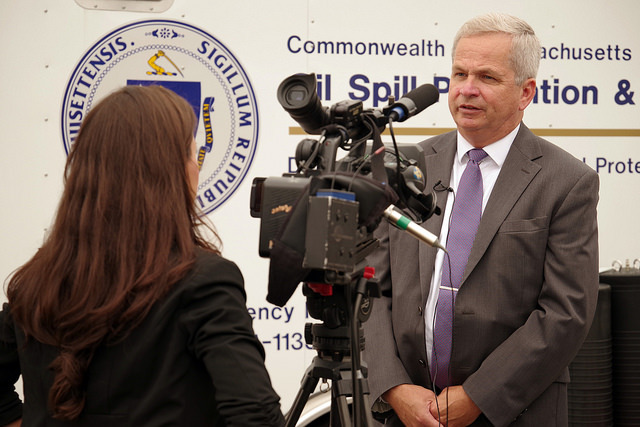 Since the program began, more than 40 of the trailers have been utilized to address oil spills in coastal communities that have included Aquinnah, Barnstable, Falmouth, Fall River, Gloucester, Nantucket, New Bedford, Newburyport and Plymouth.